Companies that attempt office relocations or new office build-outs on their own often run into unexpected issues that delay their projects and blow their budgets. However, these common pitfalls can be avoided. If you want to ensure that your project is completed on time and within your budget, the smart move is to partner with Relocation Strategies Charlotte (RSI Charlotte). 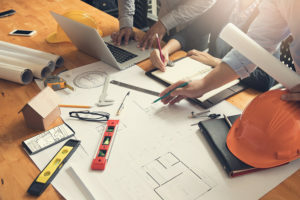 We offer project management analysis services to businesses throughout the Winston-Salem, North Carolina, area that want to ensure that their office construction or relocation projects run smoothly from start to finish and don’t result in productivity-sapping delays or unexpected costs. Our highly trained and knowledgeable staff will evaluate your goals and timeline and identify any potential problems ahead of time so your project can be completed efficiently and according to schedule. When you choose RSI Charlotte for project management analysis services, we will conduct a detailed feasibility study that will help identify hidden costs so you can make an informed decision before signing a lease. Additionally, we can oversee your office relocation and construction processes to ensure that vendors honor their commitments and don’t try to add unexpected charges. We will also develop a master budget and schedule, assist with vendor selection, coordinate any necessary storage needs, and much more. If you would like to learn more about the benefits of the project management analysis services that we offer to businesses in the Winston-Salem, NC, area, contact RSI Charlotte today.